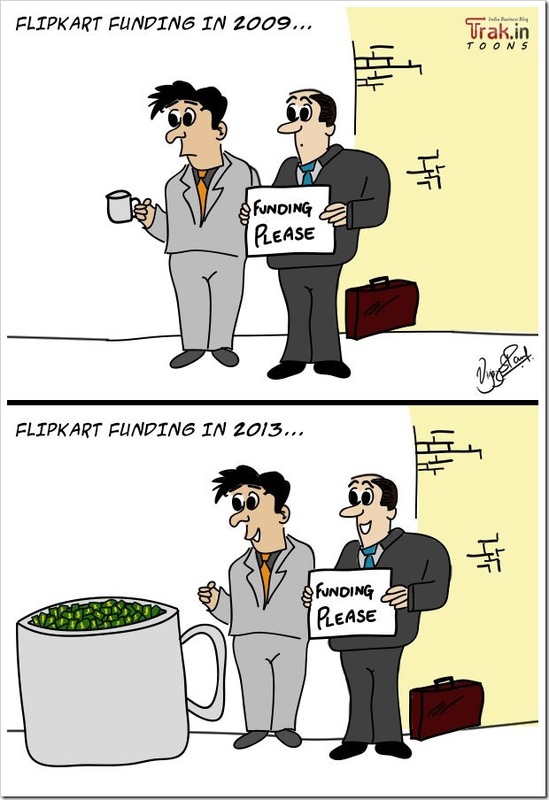 Flipkart is a true poster boy of Indian E-Commerce space. They have literally changed the face of Indian e-commerce Industry. Online shopping has grown leaps and bounds in India, and lot of credit for it goes to Flipkart. But that’s the story now, 4-5 years back it was very different. E-commerce was not attracting any money, infact, it was extremely difficult to find any VC backing this space. In a gap of about 4 years, we now have a scenario where Flipkart has raised a single round of USD 360 million or about 2,232 crore rupees. So, here is a Trak.in toon dedicated to this changed scenario. Rather that doing a humorous take, we decided, to simply show you the situation as-is! Respect to the both the Bansals!